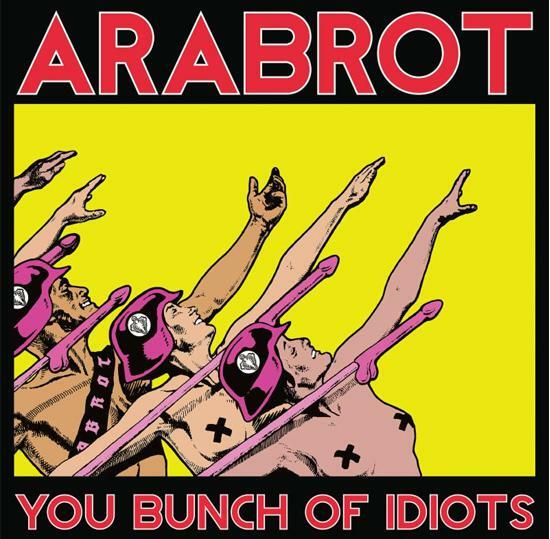 Årabrot have revealed details of their forthcoming EP. You Bunch Of Idiots is the third release in a three-part series by the Norwegian noise rock outfit, and follows 2013's Murder As Art and 2014's I Modi. The release has been described as "hook-laden noise rock with sludge, industrial, and rock & roll flourishes", and will feature six original tracks from the band. The record is currently scheduled for release on June 18 via Fysisk Format. Årabrot's main man Kjetil Nernes will join tQ's John Doran on a UK tour throughout May to mark the publication of his first book Jolly Lad. The work will be available in hardback, paperback and digital mediums via Strange Attractor. Physical copies are currently available for pre-order here and a full list of dates with information on tickets can be found here. tQ's Matt Ridout spoke to Nernes in October, where he stated that his recovery from throat cancer "will have a thematical impact on the upcoming material", going on to suggest that "the lyrics and subjects are going to be fierce and dark. In many ways everything that happened this summer feels like war." You can read the full conversation here and check out his Baker's Dozen here.